François Larocque studied philosophy before graduating from the common law French program in 2000. He clerked both at the Court of Appeal for Ontario (2000-2001) and at the Supreme Court of Canada (2001-2002), working successively for the Honourable Justices Charron, Borins, Goudge, Labrosse and Arbour. A Commonwealth Scholar, SSHRC Doctoral Fellow, Ricard Fellow and Honorary Prince of Wales Scholar, Larocque began his doctoral research in 2002 at the University of Cambridge (Trinity College) under the joint supervision of professors James Crawford and Philip Allott. His thesis examined the jurisdiction of national courts in civil proceedings for serious violations of international law. Building on his doctoral research, Dr. Larocque remains most interested in the field of transnational human rights litigation, that is, civil actions in the domestic courts of one country in relation to grave human rights violations that occurred in another country. This broad area of concern blurs the conceptual boundaries that once separated international and domestic law on one hand, and public and private law on the other. Specific areas of interest include the development of international torts, universal jurisdiction, the law of State immunity, forum non conveniens, and other prudential considerations. He is the author of "Civil Actions for Uncivilsed Acts" (Irwin Law, 2010) the first Canadian treatise on transnational human rights litigation. In addition to his academic research on the subject, Larocque has intervened as counsel inBouzari v Islamic Republic of Iran (CA Ont), Kazemi v Islamic Republic of Iran (QSC, QCA, SCC), Club Resorts v Van Breda (SCC). 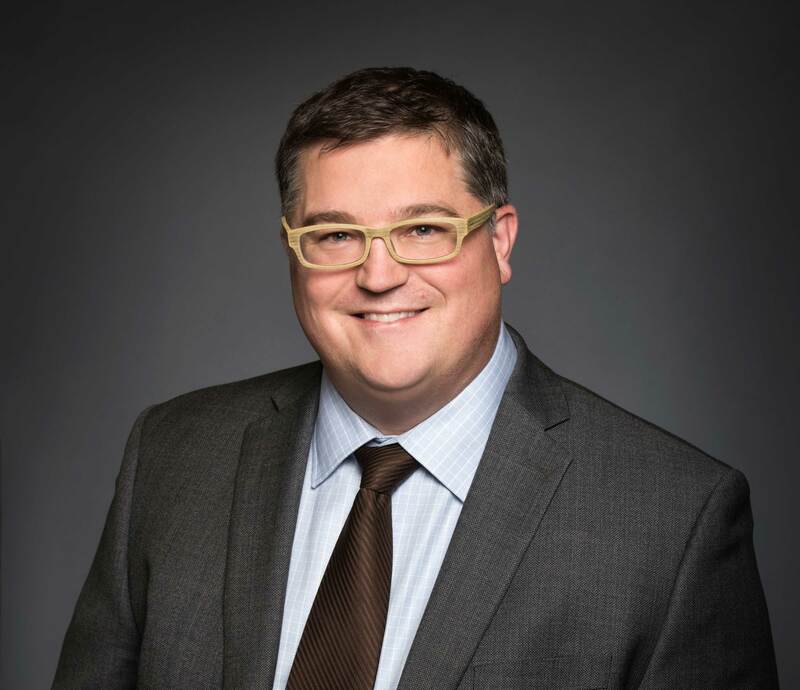 Larocque has also testified as an expert witness before the House of Commons Sub-Committee on International Human Rights on issues relating to transnational human rights litigation. Dr. Larocque has pioneered research on the constitutional protection of the language rights of French-speaking minority communities in Canada. For example, his research has shed new light on the constitutional compact between the Imperial government, Canada and the inhabitants of Rupert’s Land, that led to the creation of the Western provinces. He has theorised novel applications of the Federal fiduciary duty owed to minority official language communities. He is also interested by Ontario's language management schemes. François Larocque was born and raised in Sturgeon Falls, Ontario. L. Bélanger-Hardy, D. Boivin et F. Larocque, La responsabilité délictuelle en common law, 2e édition, Cowansville, Éditions Yvons Blais, forthcoming. F. Lafontaine, F. Larocque (ed. ), Doing Peace the Rights Way: International Law and Human Rights in Conflict, Essays in Honour of Louise Arbour, Brussels: Intersentia, forthcoming. F. Larocque, Civil Actions for Unicilized Acts: The Adjudicative Jurisdiction of Common Law Courts in Transnational Human Rights Proceedings, Toronto, Irwin Law, 2010. F. Larocque, “Torture, Jurisdiction and Immunity: Theories and Practices in Search of One Another” dans A. Orekhelashvili, dir., Research Handbook on the Theory and History of International Law, Northampton (Mass), Edward Elgar Publishing, forthcoming. F. Larocque, M. Power, M. Doucet, « Archéologie d’un pacte constitutionnel oublié : la proclamation royale de 1869 » dans Le statut du français dans l’ouest canadien, Cowansville, Éditions Yvon Blais, 2014. F. Larocque « Les recours en matière de droits linguistiques » dans M. Bastarache, dir., Les droits linguistiques au Canada, 3e édition, Cowansville, Éditions Yvon Blais, 2014. F. Larocque, «Le délit transnational de la torture », in Critical Torts, L. Bélanger-Hardy et S. Rogers eds., Toronto, LexisNexis, 2009. F. Larocque, “Civil Remedies for Terrorism”, in Craig Forcese & Nicole LaViolette, eds., The Human Rights of Anti-Terrorism, Toronto: Irwin Law, 2007. F. Larocque, M. Power et M. Vincelette, « L'élargissemetn du concept d'obligation fiduciaire au profit des communautés de langue française en situation minoritaire dans leurs relations avec l'État » (2012) 63 University of New Brunswick Law Journal 368. F. Larocque, M. Power et al, « Le statut du français à l'Université d'Ottawa et la Loi sur les services en français » (2011) 12 Revue de common law en français 55. F. Larocque, « La proclamation du 6 décembre 1869 » (2010) 33:2 Manitoba Law Journal 298. F. Larocque, «La Loi sur l'immunité des états canadienne et la torture» (2010) 55 Revue de droit de McGill 81. F. Larocque, "The Tort of Torture" (2009) 17 Tort Law Review 158. F. Larocque, "Recent Developments in Transnational Human Rights Litigation: A postscript to Torture as Tort" (2008) 46:3 Osgoode Hall Law Journal 605. F. Larocque et M. Kreuser, « L’incorporation de la coutume internationale en common law canadienne » (2007) 45 Annuaire Canadien de droit international. F. Larocque, « La dissuasion et le no-fault », (2001) 9 Health Law Journal 171. F. Larocque, « Eunomia et le droit selon Allott » (2001) 31:2 Revue générale de droit 255. M. Power, F. Larocque, "Advance cost awards and Access to Justice" The Lawyer's Weekly (April 15, 2011), Vol. 30, No. 46, at pp 10 and 14. F. Larocque, “The Choice of Torture”, The Lawyer’s Weekly (May 2, 2003) Vol. 23. No. 1, at p. 4. F. Larocque, “State Immunity Trumps Rights to Fair Trial and Freedom from Torture” (2003) 6:3 OBA: Constitutional, Civil Liberties and Human Rights Section 6. F. Larocque, “No Right to Assisted Suicide Under European Human Rights Convention” (2003) 6:3 OBA: Constitutional, Civil Liberties and Human Rights Section 4. F. Larocque, “Old Battles, New Arguments: Recent Language Rights Cases in Ontario and Quebec” (2002) 5:2 OBA: Constitutional, Civil Liberties and Human Rights Section 27. F. Larocque, M. Power, « De la possibilité d’un recours civil pour le terrorisme » (2001-2002) Canadian Lawyers for International Human Rights – Bulletin, aux pp. 2 et 19. F. Larocque, M. Power, “Bill C-36 Lacks Civil Remedies”, The Lawyer’s Weekly (December 7, 2001), Vol. 21, No. 30, at p. 5. M. Duckworth, F. Larocque, “Canadian Administrative Law Cases at the Supreme Court of Canada” (2001) 9:3 OBA: Adminstrative Law Section 23. F. Larocque, “Bush v. Gore: Is the Bloom off the Robes?” (2001) 4:2 OBA: Constitutional, Civil Liberties and Human Rights Section 1. F. Larocque, “Anti-Gang Legislation: Is the Disease Worst than the Cure?” (2001) 4:1 OBA: Constitutional, Civil Liberties and Human Rights Section 3. F. Larocque, Recension : James Cooper-Hill, “The Law of State Immunity and Terrorism”, New York, Oceana Publications, 2006 in (2007) 45 Canadian Yearbook of International Law. F. Larocque, Book Review, “Sarah Joseph, Corporations and Transnational Human Rights Litigation (Hart Publishers, 2004)” in (2005) 76 British Yearbook of International Law 543. F. Larocque, “Alien Tort Statute Survives the Supreme Court” (2004) 63:3 Cambridge Law Journal 532. F. Larocque, M. Power, Recension, « Gib van Ert, Using International Law in Canadian Courts (Kleuwer, 2002) » (2003) 35 :1 Revue de droit de l’Université d’Ottawa 146. F. Larocque, M. Power, Book Review, “Torture as Tort: Comparative Perspectives on the Development of Transnational Human Rights Litigation (C. Scott ed., Hart Publishing, 2001)” in (2002) 41 Osgoode Hall Law Journal 147. F. Larocque, Book Review, “H. Fox, The Law of State Immunity (Oxford University Press, 2002)” in (2002) 62:2 Cambridge Law Journal 504.